Normally I observe and pay attention to people and their actions but getting away for a few days, I really wanted to just be alone. The seaside cliffs helped me realize my longing as I sat among their edges taking in the surf. Rarely did I see anyone now and I enjoyed the solitude. 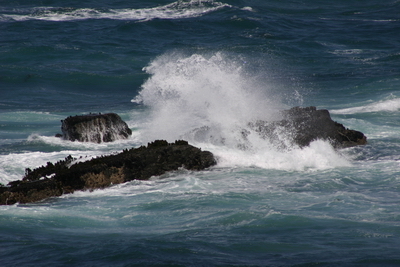 A strong wind was blowing and crashing waves broke over the rocks. I tried to capture a few of these thoughts in a journal but some things you are just meant to experience. I was looking at these waves and wondered what the disciples saw when Jesus “rebuked the wind and the raging of the water…and there was a calm”?